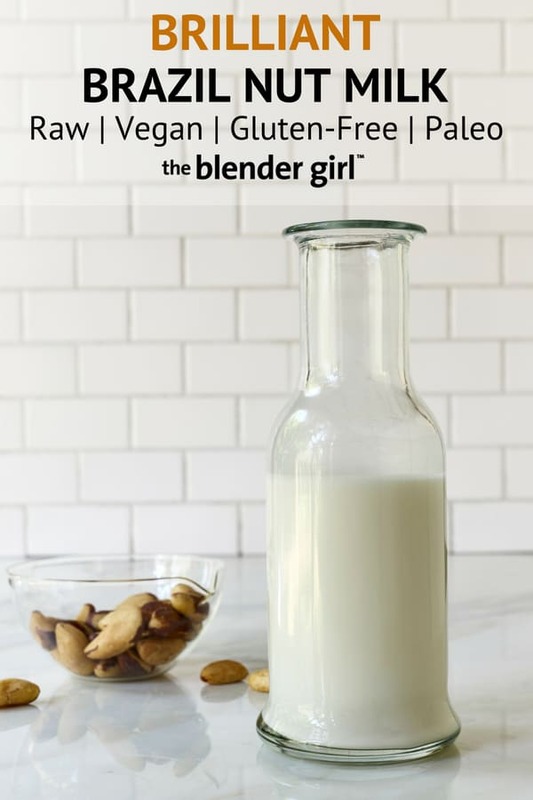 This Brazil nut milk has an incredible flavor, is loaded with selenium and other nutrients, and makes a nice change from the usual nut milk. As fond as I am of almond milk and cashew milk I like to mix things up and make a variety of plant-based milks for nutrient and flavor diversity. Brazil nut milk is in my rotation because it in smoothies. Brazil nuts are one of the richest sources of selenium (about 2,500 times more than any other nut), making them a fantastic complete vegetarian protein with a full amino acid profile. Just two raw Brazil nuts accounts for the daily requirement. Selenium supports heart and prostate health, and boosts immunity. Containing the amino acid methionine, which promotes antioxidant production to combat free radical damage, Brazil nuts up the anti-aging agenda, too. 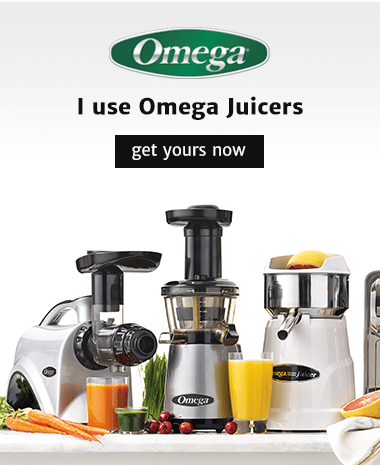 They’re also a good source of calcium, iron, zinc, magnesium, Vitamin B, and omega-6 fatty acids. Like all nuts, they’re a good source of plant-based protein. Purchase raw shelled Brazil nuts from source with a high turnover to ensure maximum freshness and quality; and store them in a sealed glass container in the fridge, as these nuts are even more susceptible to rancidity due to their very high fat content. Roasted salted Brazil nuts are delicious. But as with all other nuts, this greatly compromises the nutritional integrity of the nut, and heating them produces carcinogens, which create toxins in the body. As Brazil nuts contain some of the highest concentrations of phytic acid, always soak them to neutralize enzyme inhibitors. Learn more about the benefits of soaking nuts, seeds, and grains, and get how to soak food cheat sheet. You also can get too much of a good thing. The shells of Brazil nuts contain aflatoxins, which have been linked to liver cancer in some studies. The EU have strict importing regulations for whole Brazil nuts for this reason. Excessive consumption of Brazil nuts can lead to selenium toxicity which causes a metallic taste in your mouth, garlic odor in the breath, fatigue, nausea, vomiting, skin rashes and blotches, diarrhea, runny nose, cough, nerve pain, brittle nails, and hair loss. I consume in moderation, and never more than 1 cup a week. Having said that, Brazil nuts are a great inclusion in a healthy diet, and making milk is a great way to get your brain food fix. Brazil nut milk can be used in place of almond milk in most recipes. They have a similar mild flavor and texture when strained. 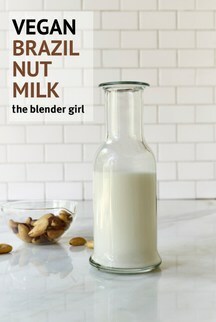 Learn how to make nut milks and get the plant-based milking cheat sheet. 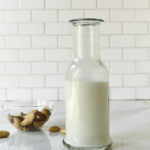 You can make raw Brazil nut milk by blending raw nuts with water and sweetener. It is simple and delicious. Drain, and discard the soaking liquid (do not use this to make the milk). Rinse the Brazil nuts several times to remove the anti-nutrients and enzyme inhibitors. 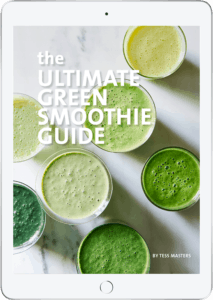 Throw the rinsed Brazil nuts, water, and salt in your blender, with any additions (if using), and blast on high for about 60 seconds, until smooth and creamy. Store the milk in a sealed container in the fridge. Activated Brazil nut milk (made with soaked Brazil nuts) will keep for 2 to 3 days in a very cold fridge. Un-soaked Brazil nut milk will keep for about 5 days.